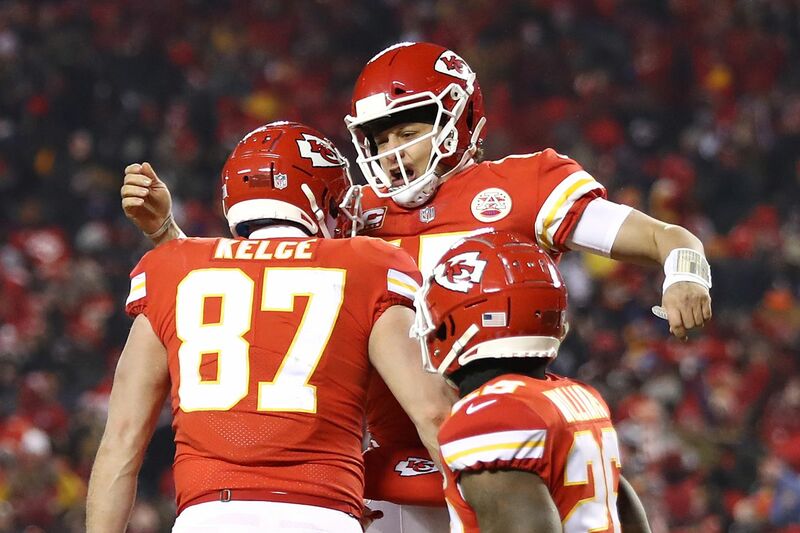 The season might not have ended how they wanted, but retired NFL lineman Geoff Schwartz explains why the future is bright for the Chiefs. In a somewhat surprising move, the Chiefs have fired Bob Sutton, the only defensive coordinator Andy Reid has employed in his tenure as the head coach in Kansas City. It’s only surprising because Andy Reid is supremely loyal, not because of the results on the field. I’ll discuss this firing, plus put a bow on the Chiefs’ season after their 37-31 overtime loss to the Patriots this past Sunday. I was in attendance for the first AFC Championship Game at Arrowhead Stadium. The Chiefs fans brought it. It was LOUD! Even my brother, Mitch Schwartz, commented to me after the game it was the loudest he’d ever heard Arrowhead. So credit to the fans. I truly enjoyed the experience, even with the loss. And Chiefs fans, I know you’re depressed about the outcome of the game, but there’s a lot to be hopeful about — starting with your franchise quarterback. Patrick Mahomes, while not playing terribly well in the first half, was money in the second half. The Chiefs scored 31 second-half points … in 32 plays! That’s amazing. Mahomes was calm, cool, and collected. It was most noticeable on the late fourth-quarter drive to tie the game. The Chiefs have their quarterback and he’s on a rookie contract. That’s the first step to success in the NFL. It goes beyond just Mahomes, though. The Chiefs are set at both tackle positions, both guard positions, and have a dynamic tight end, Travis Kelce, under contract. The Chiefs have zero issues at running back, or even finding another back if needed. All of their receivers are back, including Tyreek Hill on the last year of his rookie contract. The Chiefs would be wise to extend him now. However, and I’ve said this often, I’m not sure paying top money for a receiver is worth it. But the Chiefs are kind of stuck here. They have to spend every draft pick on defense so finding a replacement for Hill, if they wanted, could be tough. That’s why Hill will be extended this offseason. The Chiefs offense, which was the third-highest scoring offense of all time, is all back. Now to the defense. Reid let go of Sutton, who had been his defensive coordinator for the past six seasons. It felt like time. The Chiefs defense has been in the bottom third in the NFL for the last three seasons. They do some things well, like rush the passer, but just can’t stop the run at all. The Chiefs have been stubborn to make adjustments on defense and it seemed as though the players, through quotes and Twitter, are happy about the decision to move on from Sutton. While this isn’t a complete defense of Sutton, the loss to the Patriots wasn’t totally his fault. He didn’t align Dee Ford offsides. There’s a difference between bad scheme design and players playing poorly. There’s also a blurry area between those two where players aren’t being taught the proper techniques to play in that defense. Lastly, it’s up to the front office to bring in players that fit the scheme. While fans love to think coaches often change their base schemes, they don’t. Look at Sunday. The Patriots are a man coverage team. They ran man coverage. They doubled Hill. It was exactly what was expected. They twisted upfront to generate pressure. Their players played better in the scheme. Is that coaching? Probably. Are their secondary players better than the Chiefs? Yes. People will point to the overtime as the last straw for Sutton. The Chiefs allowed three third-and-10 conversions playing cover two man. Two man is a popular defense in these situations. It allows for man-to-man coverage plus two deep safeties to help in either direction. On the first third down, there’s one guy open on a blown coverage. On the second third-and-10, it’s the same coverage and same route concept. The Chiefs defender is there, but the throw is better. The Patriots win that rep.
On the final third-and-10 of the drive, the Chiefs run cover 1 — man coverage with one safety deep. They made the adjustment and dropped the weakside safety into the box. However, New England doesn’t run the same route concept. Instead the Patriots called a play that wasn’t on their call sheet. They saw Eric Berry shading to the outside early in the game in this formation, so they called a slant. Peter King has the details in his weekly Football Morning in America column. So, is that on Sutton? Did he adjust one third down too late? Did the Patriots outsmart him or make an adjustment based on Berry? While I support finding another defensive coordinator, I don’t think the Chiefs’ defensive fix is as simple as that. They will need to find better secondary pieces to run man-coverage schemes. They have Chris Jones under contract for one more year, but they need to re-sign defensive lineman Dee Ford. They will probably move on from Berry, so drafting a safety will be a must. Improving the run defense will require better players. They need a stronger nose tackle. They are stuck with Reggie Ragland and Anthony Hitchens, but maybe those players can be taught new techniques. Will a fresh defensive coordinator with outside the box thinking and the willingness to adjust on his feet better improve the defense? Yes it will. But in coordination with that, the Chiefs must draft players who fit their scheme and can play right away. It can be done, but it won’t be easy. With all that being said, the future is bright in Kansas City. A young quarterback on a rookie contract with all the offensive weapons back. A new defensive coordinator will fire up that unit. Look for the Chiefs to be back in this game next season.